So the most amazing thing happened on Saturday. 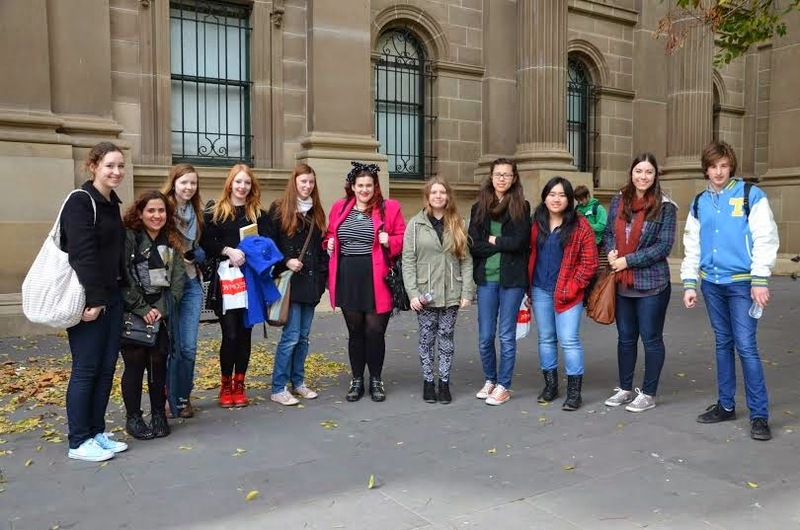 I got to meet and spend the day book shopping with a bunch of amazing bloggers, booktubers and some extra bookish people in Melbourne. As you can probably imagine, I had so much fun and I thought I'd share it with you all today. After a rushed morning and the lovely hour long train ride into the city, I headed over to Fed Square where I waited with Angel of Angel Reads for everyone else to turn up. Soon after Michelle of Lovely Girl Reads turned up in her glorious hot pink jacket, which totally saved us all from getting lost. We did the usual awkward sitting around in a circle thing until we decided it was time to start book shopping. We started at Dymocks, of course. 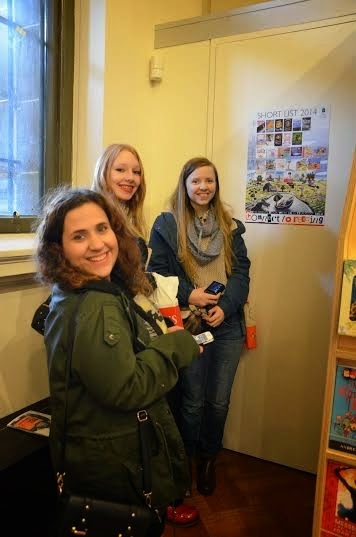 Instantly we all gravitated to the YA section and started pulling out books and fangirling about them and well as trying to desperately choose which books we really needed. I think we spent a good 45 minutes in there, most of us picked up only one or two books except for Miranda of BooKss101 who picked up about five. Miranda was already in the lead for the most amount of books, and spoiler alert, she remained ahead for the rest of the day. 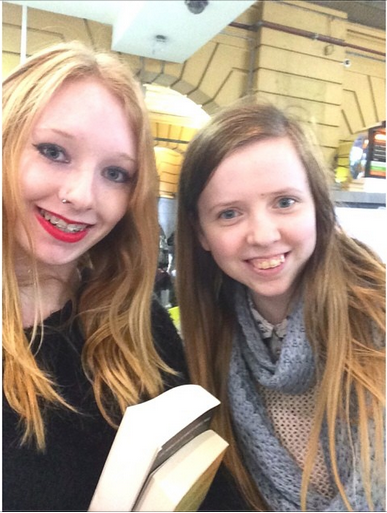 While we all waited for people to be finished buying their books, Miranda took a few photos and some videos too. Ebony of Paperback & Protagonists, Miranda, Me, Neisha of Cheeky Books and Michelle (can you see how glorious that jacket is?). Next we jumped on a tram to Melbourne Central where we had lunch. Ebony, Angel and I sat around together and talked about book reviews, publishers, blogging and upcoming books. 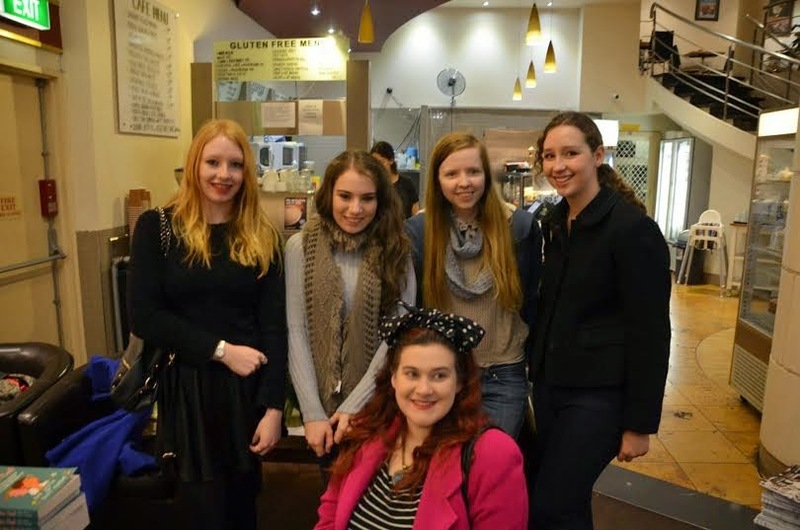 Basically, the usual things you talk about with other bloggers and booktubers! We went across to the state library after lunch where they were holding possibly the quietest protest any of us had ever seen. We spent about five minutes in Readings bookstore within the library where we all marvelled over the amazingly big YA section (pictured below). Angel, Ebony and I looking at the 'massive' YA section. Basically, it was about four shelves that weren't even fully stacked. So yeah, we were all a bit disappointed. This was the only bookstore we managed to escape without someone buying something. On our way out we decided to get a group shot, minus Miranda. Neisha, Angel, me, Ebony, Caitlin, Michelle, Sabrina, Ashlee, Rou Min, Nicole and Jack. At the next bookstore, Reader's Feast, we all decided to get another group photo this time with Miranda expertly fitting her way into it. Miranda (#winning), Ebony, me, Nicole, Michelle, Neisha, Jack, Ashlee, Sabrina, Angel, Rou Min and Caitlin. Next we headed towards Hill of Content, though we got slightly distracted by a $10 bookstore on our way there. We eventually made it there and fangirled over the books again, and cried over the expensive but beautiful hardcovers that were there. Between these bookshelves I discovered that Nicole and I go to the same university and do the same course (though different years) and that Miranda lives about five minutes away from me. Needless to say, we will be collabing in the near future. Next we headed down to City Basement Books, only to find that they weren't even open. We decided to move onto Minotaur, despite that fact the only sell Sci Fi and Fantasy books. I lied before, we made it out of this store without anyone buying anything too. Despite the fact we didn't even consider buying anything, Ebony and I took the longest to get out of this store because we spent far too much time freaking out about the prices of every book we picked off the shelves. Finally we made it out of there and we all decided to head back to Dymocks again. Eventually, people started to leave- first Sabrina and Ashlee, then Neisha and Jack. After everyone who was still there finished buying their books, we started to make our way back to Flinders Street. Angel and Rou Min went off their own way home, and then it was only the six of us left. Ebony and I got this cute selfie together, and then we all had to say goodbye to get on our different lines home. 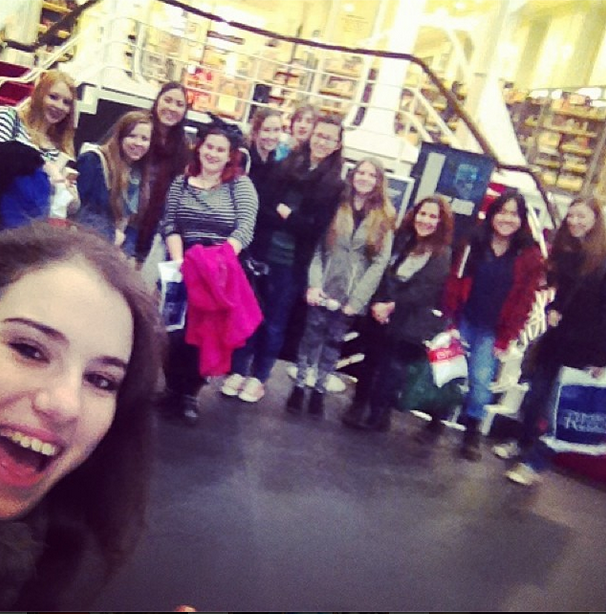 I had a seriously amazing time with these girls (and guy!). Despite the fact we've only been talking on Goodreads and Twitter for a little while, I felt like we'd all be friends for ages. It was a really, really great day! If you live in Melbourne too, you should come hang out with us next month. I'll be doing a book haul on the eight books I got on Saturday, so that should be up sometime this week. Finally, I want to thank Miranda and Michelle for organising this day and for everyone who came along and made the day amazing. We received this book for the publisher in exchange for an honest review. I tried really, really hard with this one but I just couldn’t. I’ve only DNF’ed three books in my lifetime, but this one has just become my fourth. I really wanted to enjoy this. For one, it was the first book I’d ever received from a major publisher. Two, the author is only a year older than me and that is massively awesome. I’m not going to lie, I got sucked in by the beautiful cover and the synopsis genuinely sounded like something I would enjoy, but it just wasn’t. Or maybe it’s the fact her name is Lucy Saxon…I mean what true Whovian could resist that? The writing just didn’t click with me. It’s definitely not the worst writing I’ve ever seen, but it just couldn’t hold my attention for very long. It took me almost a month to read only 86 pages of it before I decided I just couldn’t continue. I felt bad for having hardly read anything which is why I took so long to DNF it, though I did quickly skim through it before I started this review. The thing is, I didn’t care about Cat. I think I was expecting a sort of Leviathan (by Scott Westerfeld) sort of novel. They both have that steampunk-y feel, and they both take place on ships with girls dressing as guys. Maybe it was my fault for expecting that, but I was just disappointed. I wanted Cat to be this strong character, but I was also expecting her to be witty and smart but I just didn’t like her. I liked Fox, very briefly, but then he started to get on my nerves and from other people’s reviews and from what I saw when I skimmed, it’s evident he gets worse. All in all, I was disappointed by this. I was expecting so much and it just wasn’t there. Quite a few reviewers have all been saying that they believe Lucy Saxon has potential, and I totally agree with that. 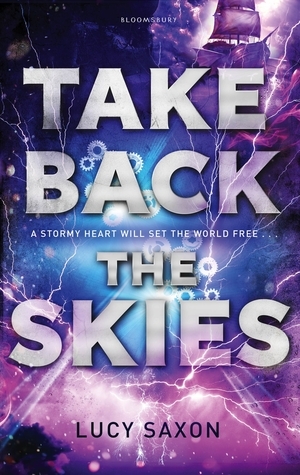 The idea of Take Back the Skies is amazing, it just wasn’t executed in the right way. Thank you to Bloomsbury for providing us with a copy of this book. When her father leaves the Church in a crisis of conscience, Margaret Hale is uprooted from her comfortable home in Hampshire to move with her family to the north of England. Initially repulsed by the ugliness of her new surroundings in the industrial town of Milton, Margaret becomes aware of the poverty and suffering of the local mill-workers and develops a passionate sense of social justice. This is intensified by her tempestuous relationship with the mill-owner and self-made man John Thornton, as their fierce opposition over his treatment of his employees masks a deeper attraction. 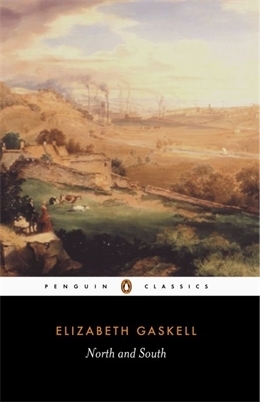 In North and South, Elizabeth Gaskell skilfully fused individual feeling with social concern, and in Margaret Hale created one of the most original heroines of Victorian literature. In her introduction, Patricia Ingham examines geographical, economic and class differences, and male and female roles in North and South. This edition also includes a list for further reading, notes and a glossary. I’m not going to lie, I watched the BBC miniseries in conjunction with reading this book and I think it might have taken me a while longer to finish this book if I hadn’t. I adore this book, really I do, but it took me a little while to get into it. I was interested with the story, but I felt it was kind of slow to get started and so to inspire myself I watched the miniseries. 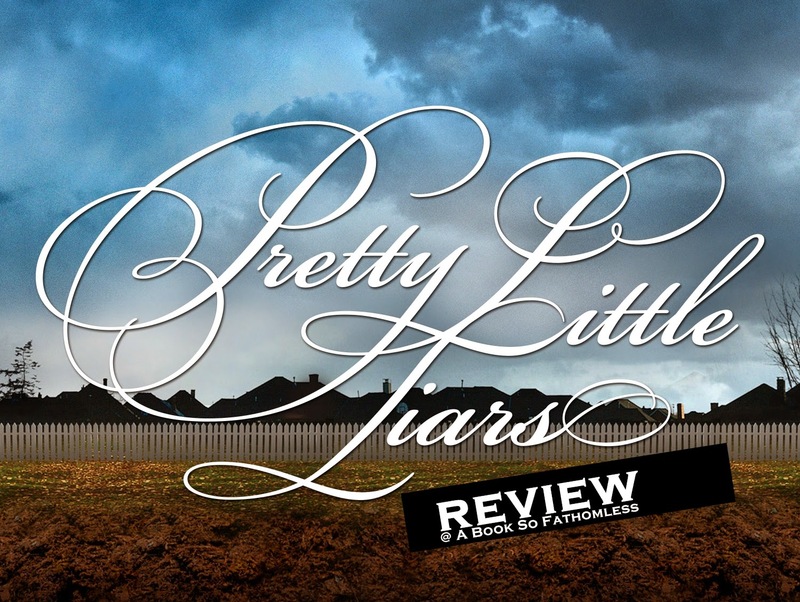 This saved the book for me, I would have continued reading even without the miniseries, but because I did watch it I fell in love with the characters and the story. I think Margaret has become one of my favourite classic heroines. I don’t really know why I love her so much, but I just think she’s brilliant. She definitely has her flaws, but I liked how she was a bit too proud at times, it made this so much more entertaining. Let’s not even start with Mr Thorton. He’s definitely in my top classic men now. I didn’t think I’d like him at the start, he’s not really talked about like Mr Darcy and Mr Rochester are, but I prefer him over both of them. Again, I don’t know why that is but I love him so very much now. There are some characters I’m not so fond of, mainly Margaret’s cousin, Edith. I don’t know why but she really got on my nerves. I honestly don’t know how Margaret put up with her! I really, really like how this is written. While most of the story focuses on Margaret, sometimes she slips into the mind of Mr Thorton or someone else briefly. I realised when I was reading the book, that I kind of do the same thing in my own writing. I don’t know if the fact that I liked it makes me sound a little bit arrogant, but it kind of made me feel a bit more confident about my writing and that’s always a good feeling! The only thing that kept this from being five stars for me was that I felt it dragged in some bits. I love the majority of the book, but there were some parts that I felt really weren’t necessary for the story. 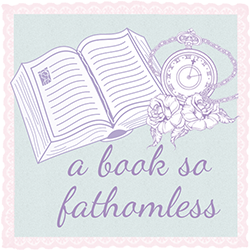 Those late couple of pages though…I was dying to see Mr Thorton come back into it again! However, I did really love this book. Now, if you’ll excuse me, I’m going to go rewatch the miniseries until the end of time.